School districts are experiencing increased demands on their networks, infrastructure, and personnel at a time of budget constraints. IT directors must manage this growing phenomenon of too much IT stuff without enough staff. New technologies promise transformation of operational systems and educational processes, and many districts have discovered that software as a service (SaaS)—also known as applications that are “in the cloud”, web-based, online, or on-demand—is a way to save time and money and improve services. This eBook will detail the benefits of SaaS and explain the details of why schools should consider SaaS to increase their technology return on investment, decrease the total cost of technology ownership, and improve operational efficiency. What do Nobel Prize winner Nelson Mandela, the new Chief of the Assembly of First Nations, Shawn Atleo, and former Premier of Alberta, Ralph Klein have in common? You may be surprised by the answer: they all got their college or university degrees using distance education. Since the early 1990s, distance education and e-learning have taken off worldwide. There are three big reasons distance education and e-learning became popular: flexibility, smart technology and cost. You can work, support a family and still get the qualifications that will make all the difference to your career prospects -that is flexibility. Second, the technology for learning -web-based tools, simulations, effective video and audio-conferences, day-to-day contact with instructors and fellow students -has become much easier. Specialized system for conferencing, connecting and learning are increasing student engagement to the point at which e-learning is the preferred mode of learning for many students. Finally, it saves money. While the tuition costs may be the same as an on-campus program, money is saved in terms of not having to travel from your home to a college or university, not having to move to a different city, meals eaten out and accommodation. The development of e-learning and the power of the Internet are opening new programs and new collaborations between colleges and universities. Take the Masters degree Chief Atleo took. It is from four universities who collaborate to offer a unique degree in Adult Learning and Global Change. The universities are Linköping University (Sweden), University of British Columbia (Canada), University of Western Cape (South Africa) and Monash University (Australia). This program requires no campus attendance and is delivered entirely online. It is available to anyone globally. All that one needs to be an effective distance education student is access to the Internet, either at home, at work or in a dedicated centre for learning such as a Contact North Contact Nord Access Centre in your community and a commitment to learning. Some courses require you to participate in video and audioconferencing, which Contact North Contact Nord also supports. After that, time management and support from friends and family are the key ingredients to success. This webinar will detail the latest trends in technology for the education market and how your school—no matter its size, budget or technical know-how—can take advantage of the current stimulus to fund a digital makeover in and out of its classrooms. Many initial concerns arise when considering such a transition, and this webinar will identify and address those qualifying questions. After participating, you will have the necessary tools to move forward with creating a cost-effective digital solution for your school. Keith Yanke, Director of Product Marketing for projectors and large-format displays at NEC Display Solutions of America, Inc., is responsible for the full gamut of projector, large-format LCD and plasma display product marketing. Keith manages market analysis, pricing and inventory issues, as well as interfacing with the sales and channel marketing teams.Keith has spent 14 years at NEC, much of that tenure in sales, engineering and marketing capacities within projectors and plasma displays. He also has experience with desktop displays and branded CD-ROM products.Keith holds a bachelor’s degree in engineering from DeVry University in Chicago. 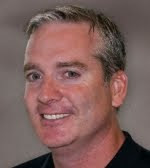 John Sheehan is the Director of Channel Marketing for NEC Display Solutions of America, Inc. NEC is a leading designer and provider of innovative desktop LCD displays, professional-grade large-screen LCD displays, a diverse line of projectors, and integrated display solutions. John is responsible for the full marketing of NEC products and services across all channels. His responsibility includes market analysis, pricing and inventory issues as well as interfacing with the sales teams and customers.He has spent 12 years at NEC, much of that tenure in sales and marketing capacities. John holds a bachelor’s degree in business from Western Illinois University. Join the Tech & Learning Community. Become part of the conversation. In the Tech & Learning Community, you aren't just a reader, you're part of the conversation. Tech & Learning Community created one seamless social network that brings together this community of tech integrators. Every piece of the puzzle comes together in the T&L Community, and in every resource, they include a place where you can share your opinions and experiences with other members. Follow our editors live as we report on events and share breaking EdTech news. Read about tech events, tag photos,and share opinions. Ask or answer any EdTech question in the T&L Forums. Hear from experts and follow breaking news with T&L Advisor Blogs and the EdTech Ticker. Let's take a closer look at this recent 93-page report on online education, conducted by SRI International for the Department of Education. The 93-page report ultimately concludes that "on average, students in online learning conditions performed better than those receiving face-to-face instructions." Steve Lohr of the New York Times summarizes the results. 93-page report on online education, conducted by SRI International for the Department of Education (PDF). In the movie "2010," while trying to salvage the mission to Jupiter, the Hal 9000 computer noted, "I enjoy working with human beings, and have stimulating relationships with them." Well, 2010 is just around the corner, and as usual Hollywood was a little ahead of its time – but in this case, not by much. Oregon State University researchers are pioneering the concept of "rich interaction" – computers that do, in fact, want to communicate with, learn from and get to know you better as a person, continues ScienceDaily. Skeptical about teaching undergraduate courses online? Unconvinced that some instruction, like math, can effectively be taught in an entirely online environment? Doctor of Mathematics Larissa Williamson might convince you otherwise. she’ll uncover the pitfalls and best practices of online instruction for undergraduate core courses. Larissa Williamson was born and educated in Kazakhstan. Williamson received her PhD in Mathematics from the Kazakh State University. In 1999 she moved to the United States and started working at the University of Florida in 2001. Since that time, she has been teaching thousands of students in both undergraduate and graduate courses, online and face-to-face. Check Out These Interesting Articles published by IRRODL! These two articles below, appears in Vol 10, No 3 (2009), edition of The International Review of Research in Open and Distance Learning. The articles relate to innovations in teaching and learning in distance contexts. 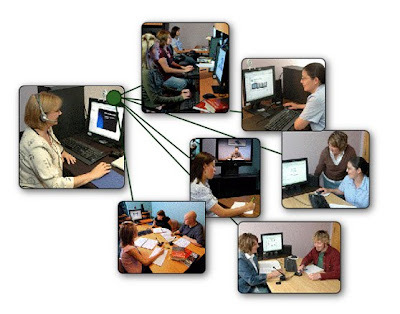 Collaborative learning in an online classroom can take the form of discussion among the whole class or within smaller groups. This paper addresses the latter, examining first whether assessment makes a difference to the level of learner participation and then considering other factors involved in creating effective collaborative learning groups. Data collected over a three year period (15 cohorts) from the Foundations course in the Master of Distance Education (MDE) program offered jointly by University of Maryland University College (UMUC) and the University of Oldenburg does not support the authors’ original hypothesis that assessment makes a significant difference to learner participation levels in small group learning projects and leads them to question how much emphasis should be placed on grading work completed in study groups to the exclusion of other strategies. The purpose of this article is to discuss the following question: What is the potential of social networking within cooperative online education? Social networking does not necessarily involve communication, dialogue, or collaboration. Instead, the authors argue that transparency is a unique feature of social networking services. Transparency gives students insight into each other’s actions. Cooperative learning seeks to develop virtual learning environments that allow students to have optimal individual freedom within online learning communities. Microblogging offers a portable communication mode that feels organic and spontaneous to many and has captured the public imagination. Friends use it to keep in touch, business associates use it to coordinate meetings or share useful resources, and celebrities and politicians (or their publicists) microblog about concert dates, lectures, book releases, or tour schedules. A wide and growing range of add-on tools enables sophisticated updates and interaction with other applications, and the resulting profusion of functionality is helping to define new possibilities for this type of communication. Peck Training Group LLC, one of the country’s leading professional development training companies, has formed a strategic alliance with DifferentLens LLC that enables them to develop an innovative blended learning solution called innerConnect™. 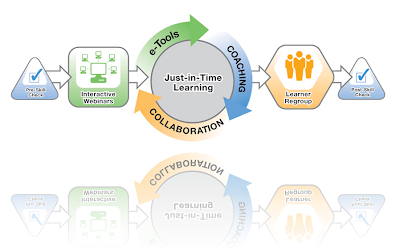 This program connects people to virtual learning for business results, and includes multiple learning modes such as interactive webinars, virtual coaching, online collaboration (through their portal for blogging) and online toolkits and templates, as well as condensed classroom training as required by the topic (i.e. presentation skills). Peck Training Group and DifferentLens are offering a free webinar to anyone interested in learning more about new learning trends and the innerConnect model. “Learning in a New World” will be held on Tuesday, August 25, 2009, at 12:00 CDT. The webinar will feature guest speaker and technology learning expert, Dr. Tony Karrer. Peck Training Group delivers a blended learning solution with both formal and informal training options for companies with employees in North America, Europe and Asia. The Company has nearly two decades of experience supporting medium-sized companies up to Fortune 500 clients, as well as prestigious universities and professional associations. 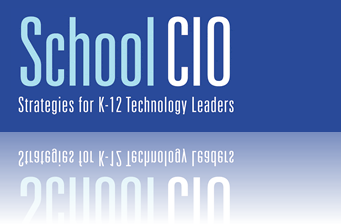 Take a closer look at this new report by the International Association for K-12 Online Learning (iNACOL). The report is calling for a better policy and funding framework to make sure students are getting the best education possible. 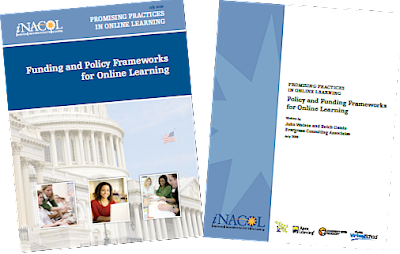 The report, "Policy and Funding Frameworks for Online Learning," written by John Watson and Butch Gemin of Evergreen Consulting Associates, and published by iNACOL, is the fifth report of iNACOL's six-report series called Promising Practices in Online Learning, which explores some of the approaches being taken by "practitioners and policymakers in response to key issues in online learning." The series was commissioned by iNACOL, because interest in, and applications to, online learning institutions have increased. By publishing this report, iNACOL hopes to guide policy makers toward "effective choices to support the high-quality online and blended learning environments potentially available to every child today." Please, take a closer look and find out what is hot right now? Housed at the American Institute of Physics, the Niels Bohr Library & Archives is a very useful place for historians of science and others with an interest in the lives and personalities of modern scientists. Here, visitors will find their rather unique collection of oral history interviews. They happen to have more than a thousand, and this site contains transcriptions of several hundred of these interviews, along with a selection of audio clips. The subjects covered in these interviews are rather diverse, and they include conversations about laser science, science education, solid state physics, and science institutions. The Organisation for Economic Co-operation and Development (OECD) has partnered with Linköping University to create this rather powerful analytical tool which they call the OECD Factbook eXplorer. First-time visitors can start using the site by going over to the "Dashboard" area on the right-hand side of the page and clicking one of the thematic "stories". These "stories" contain brief introductions to several key issues: labor market policies and labor participation fertility. Visitors can read through these themes to learn about the scatter plot screen, the time-series data, and the interactive map on the far left-hand side of the screen. Nature Publishing Group, has created an online science library. The information you will find there mostly focuses on genetics and is for college and later students and who need help with their classwork. Scitable.com is giving the often nebulous concept of social media a purpose by building an online community around scientific learning and knowledge exchange. Scitable was launched by the 140-year-old Nature Publishing Group, whose flagship journal Nature is among the best-known peer-reviewed science publications. The site says its social network membership numbers in the hundreds of thousands, and it's clear from paging through the members that it has attracted young scientists from across the planet. Scitable is an open online teaching/learning portal combining high quality educational articles authored by editors at NPG with technology-based community features to fuel a global exchange of scientific insights, teaching practices, and study resources. 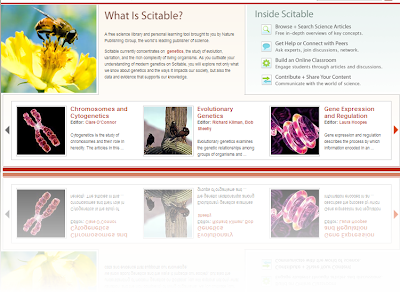 Scitable currently contains articles in the field of genetics, and is intended for college undergraduate faculty and students. Future plans involve extension of Scitable to other fields within the life sciences, as well as to other audiences. The August/September issue includes articles on the role of virtual realities in (and as) the classroom, an article on one university's efforts to ensure that faculty members get the support and encouragement they need to produce consistently high-quality online courses, and an article that describes a business school's development of a computer-based testing lab to accommodate their growing enrollment. In our first article, Ulrich Rauch, Marvin Cohodas, and Tim Wang describe the Arts Metaverse, a virtual learning environment for the three-dimensional reconstruction of important archeological artifacts and sites, allowing students access to places and works they would not otherwise be able to experience. In addition, students may create reconstructions as well as visiting particular sites. Embracing the principle that engaging students in the construction of a virtual teaching and learning environment can create a participative learning experience, the Arts Metaverse Project aims to enable students and academics to become joint researchers in creating and sharing knowledge beyond the walls of the university. Our next two articles describe efforts to create learning environments in Second Life. Mary Anne Clark offers a map to Genome Island, a virtual laboratory complex constructed for teaching genetics to university undergraduates, Genome Island also provides a public space where anyone interested in genetics can spend a few minutes or a few hours interacting with genetic objects. Anne Hewitt, Susan Spencer, Danielle Mirliss, and Riad Twal report on a collaborative initiative to create a virtual simulation exercise focused on key competencies for students in a Master of Healthcare Administration program. The exercise they design provides a previously unavailable virtual counterpart to the tabletop exercises traditionally used to teach emergency preparedness, allowing online students to gain important hands-on experience and opportunities for interaction. Albert A. Angehrn and Katrina Maxwell describe a simulation that does not rely on a virtual world. Rather, their simulation, designed to teach collaboration skills to managers and decision makers, relies on an episodic video story to create a simulation narrative. Participants, who may be online or on site, use group decision support technology to facilitate their collaboration with a small team around a series of mission-critical dilemmas; the decision a team makes at each juncture determines how the narrative develops. The simulation provides a learning experience that can help managers, decision makers, virtual teams, and online communities reflect about the challenges and opportunities of collaboration and group decision making. Next, Hong Wang, Lawrence Gould, and Dennis King share the comprehensive approach their university has developed to quality assurance in online education. A central component of their program is effective cooperation among administrative, professional, and peer support systems to guide faculty members in creating and administering quality online courses. Through these efforts, Wang, Gould, and King argue, their university has developed a collaborative course development process that provides faculty members the support they need to design and administer high quality online instruction. Patrick Moskal, Richard Caldwell, and Taylor Ellis describe the development and evolution of a computer-based assessment lab at their college of business administration, detail the lessons learned from their experiences in developing the lab and accommodating continued growth, and discuss plans for further development. As a result of sound initial planning and continual development in response to faculty and student needs, the facility has been remarkably successful in streamlining the administration of assessments for CBA, presenting a model for other institutions considering implementing computer-based assessment on a large scale. Innovate-Ideagora this month, Denise Easton and Alan McCord announce the consolidation of Innovate-Live, Innovate's venue for author webcasts, with Ideagora; webcasts and webcast archives will now be accessed through Ideagora's home page. Noting a pattern in the nearly 50 discussions currently active on Ideagora, McCord and Easton suggest a list of five core issues driving change in education. Readers are invited to contribute to an Ideagora discussion about this list by suggesting their own list or by exploring how technology may shape an approach to these questions. Please use the discussion board within each article to raise questions or provide additional commentary. Your comments will be sent to authors for their response, which will become part of the record for their article. Also, please forward this announcement to appropriate mailing lists and to colleagues who want to use IT tools to advance their work.